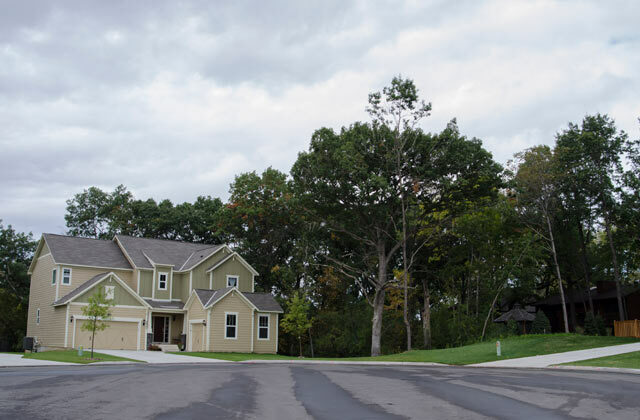 Josephine Woods is a 25-acre, 28-unit single family residential development in Roseville, MN. Alliant’s services included site planning of development, grading, street and utility design, earthwork balancing, tree preservation planning and hydrologic design. The project required a design that would maintain continuity of a very large trunk storm sewer directly through the property. It took significant effort to provide a design that could preserve a large amount of the existing mature trees, but that work brought a significant benefit to the development. The project was located in the Rice Creek Watershed District and thus the design required a stormwater management system that provided storm water runoff rate control, water quality and volume reduction.